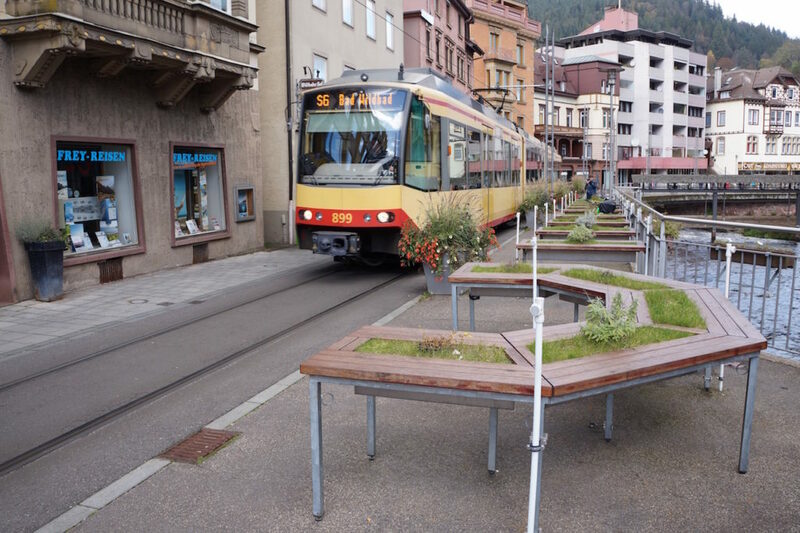 In my latest transit and travel related article about Gmunden, I wrote about the shortest tram line in the world. Many became very interested in this statement, and this lead to some investigations begun from our readers. He commented about that Bad Wildbad got the shortest tram line in the world and not Gmunden. To this statement regarding shortest tram line in the world, I can confirm that Gmunden still got the shortest tram line in the world until the city section there is finished and that tram line will become a train-tram alike line also even which will connect several vilages and small cities. Yes, Bad Wildbad does have a very small tram section. However, this small section in this town is part of the Line S6 that runs with tram-train wagons only. These tram-train wagons is the very same ones that is used in Karlsruhe. One of the very few cities and areas in the world that uses such type of vehicles that can run both on lower and higher powered power lines. Karlsruhe and Bad Wildbad isn’t directly connected by the tram-train system directly. You need to change at Pforzheim station, which is quite big. From here Line S6 goes every half hour it seems as it becomes obvious when I took the line that most of the line is only one track with some bypassing sections. This tram-train route must be one of the nicest tram-train routes that I’ve taken ever. Many bridges and tunnels and finally the tram section thru Bad Wildbad is really neat. Finally when you arrive at Bad Wildbad, your struck with stress less factor for sure. Welcome to Bad Wildbad in Germany! 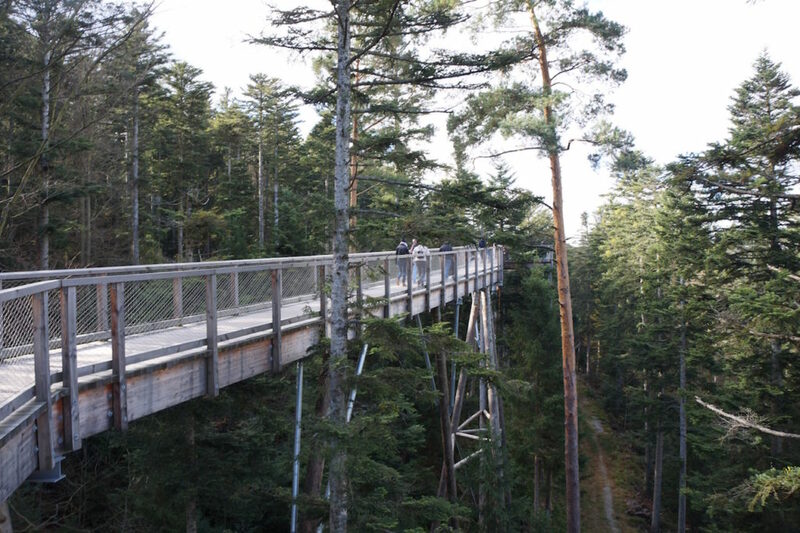 photosource: Distrita – Here is the Tree top bridge that you can walk on. Children and even your camera will love this. Amazing nature and fresh air is good for everyone! I have been to many German cities in my lifetime, but no one else than Bad Wildbad have actually warmed my heart so much. There is simply cities and it’s architecture that gives a better breath than others and Bad Wildbad is one of them for sure. This is a really cute German city, with architecture and Grose Enz river going thru this tiny city which is so fortunate to be connected with Pforzheim and Karlsruhe thru the areas amazing tram-train system. A really great town. In the Bad Wildbad city center there is so much to see. Near the Kurpark end station which is the end stop for Line S6, there is a town hall with majestic toilets and historic information on the walls in German. Near the Kurpark station, there is also a famous Swimming Pool called Vital Therme. I didn’t visit this because I had plans to visit the Sommerbergbahn, which you reach just near Bad Wildbad – Ulandplatz. From this tram-train Line S6 station in Bad Wildbad center you just go a few meters south where you see a Kebap House Rainbow restaurant on your right side. Just walk up the Uhlandpl. street a few steps and you’re at the Sommerbergbahn. This is a trolley that takes you up to a special place where you can reach a Treetop walk bridge. This construction will amaze everyone in the family as this bridge and the end bridge construction (which is all in wood) is for sure amazing constructed. 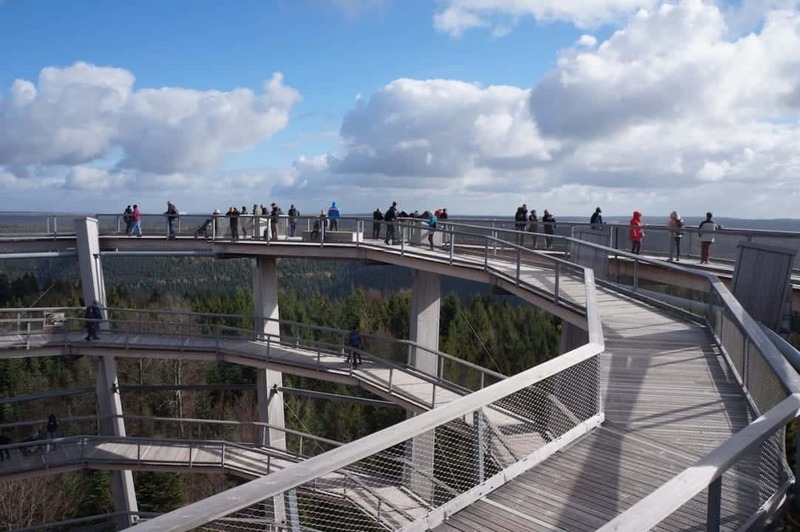 At the top of this Treetop walk bridge, you have a long slide that you can try for an extra 2,-EURO. Me, I paid 11,- EURO for taking the trolley up and down + entrance for the Treetop walk bridge. I felt very majestic when reaching the top of this construction. It’s an experience that I’ve never seen or experienced before. 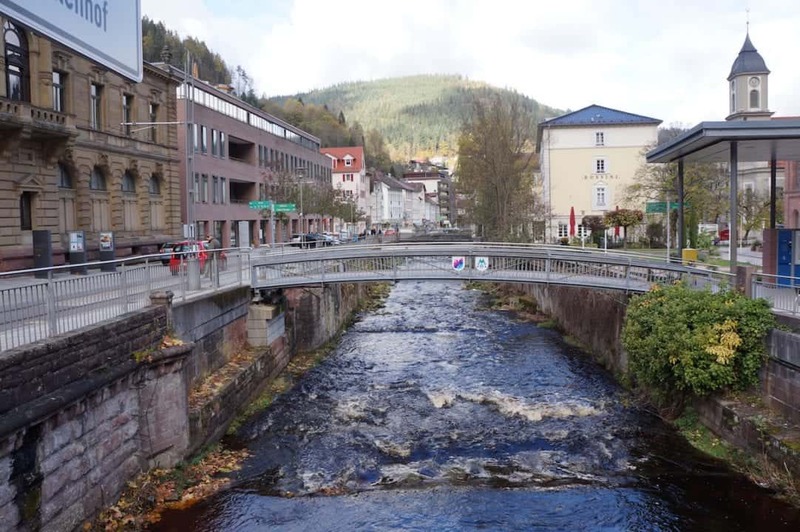 photosource: Distrita – Grose Einz river that is going thru Bad Wildbad is really nice to look at. Also it’s very clean water in it! My experience and feel in Bad Wildbad is so out of this world feeling for me. I’ve never thought that I would fall so much in love with Bad Wildbad, but I really did. The only downside that I can think of is that there is almost no information about English. It’s as if Germans doesn’t want tourists to find this hidden gem. But, Distrita can for sure highly recommend this place for the whole family. This is for sure one cities in Germany which I feel got a soul. Only a very few cities other than Bad Wildbad got it and that is Porto in Portugal, Bergen in Norway and Santa Cruz on Tenerife, Spain. 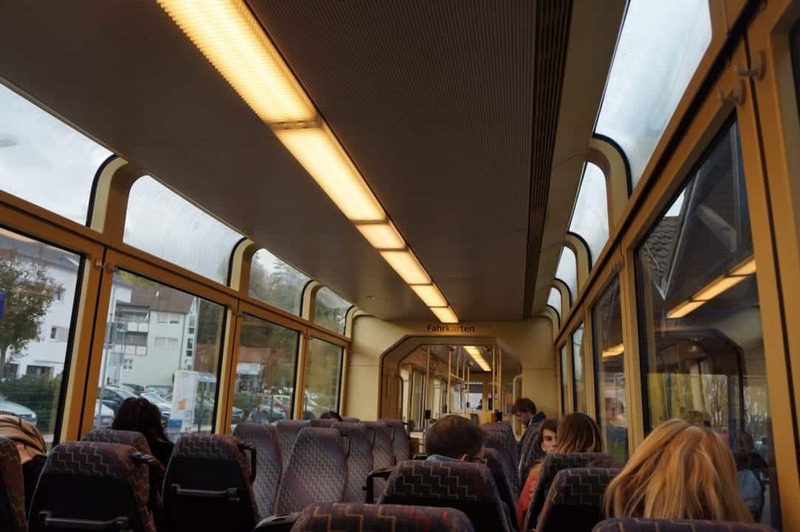 I really recommend everyone to visit Bad Wildbad,… and when I can confirm that a 11,- EURO’s ticket can take you across 7 zones which is incredible. 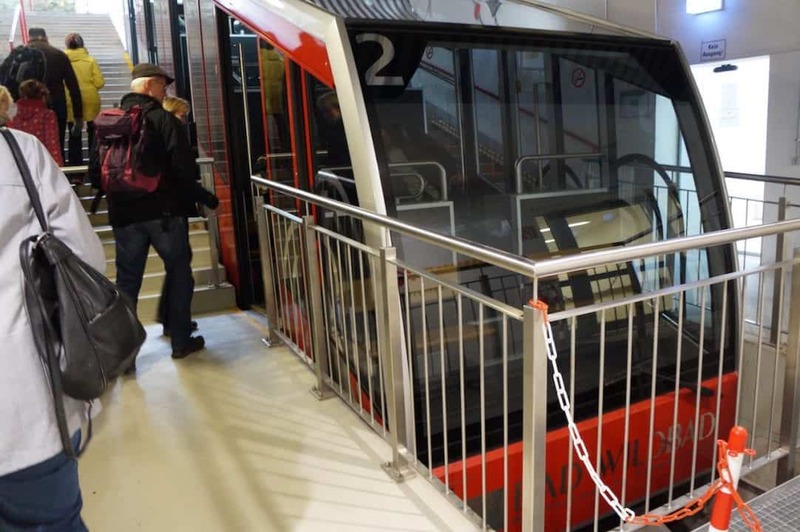 The Karlsruhe tram-train system is one of the best in the world and in Bad Wildbad that system reaches this tiny town. I am so glad to have been able to experience this place, because it’s for sure a true unique place. There was simply so many things to see in Bad Wildbad. It was a town that I want to see again for sure. The relaxing atmosphere with the tram-train reaching the center of the city is amazing. Yes, there is a Bad Wildbad main station, but do not go out there as there is still two more stations for Line S6 which ends at Kurpark station. Below here, I have gathered some more pictures from the trip. These includes the Pforzheim station where Line S6 ends. From there you can take Line S5 which you can take to Karlsruhe. It actually reaches the eastern side of Karlsruhe. 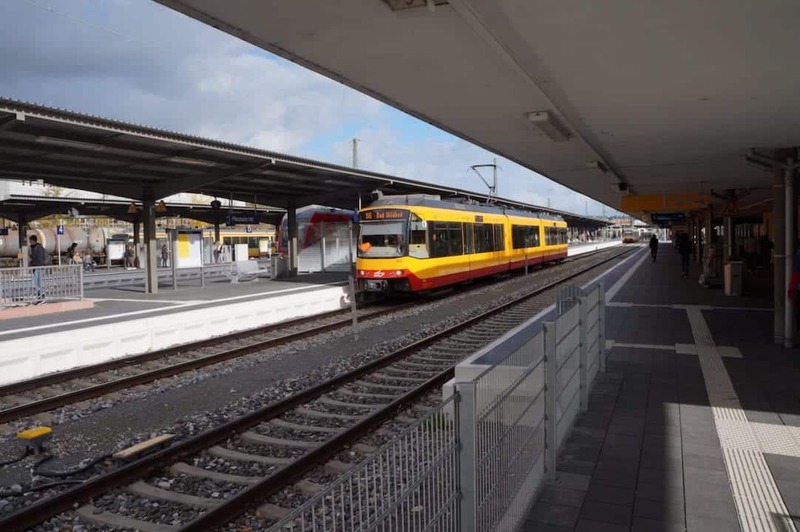 There is also other lines from here that takes you straight to Karlsruhe Hbf, which is the main station.